Database Systems Corp. is a leading provider of call center technology including telemarketing software and phone systems. 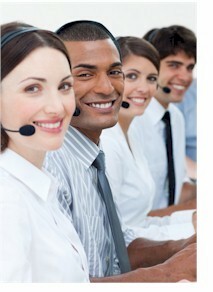 DSC also offers telemarketing services using our call centers located in multiple locations. Organizations looking for outbound and inbound telemarketing services can outsource their IVR and voice broadcasting projects at our affordable call centers. As designers of Interactive Voice Response IVR systems and Voice Broadcasting software, DSC is uniquely positioned to manage your outsourcing programs saving your company both time and money. Because our products are created in-house, we can deliver comprehensive telemarketing services quickly - providing you with a competitive advantage in the marketplace. Plus you will find our inbound and outbound telemarketing outsourcing services to be quite affordable. Contact DSC to learn more about our telemarketing answering services and phone systems. DSC offers its clients both inbound and outbound telemarketing services with the ability to manage their own IVR and Voice Broadcasting campaigns online. After signing up for our call center services, you can login to your own account with a unique user id and password. IVR clients can view activity reports on a real-time basis and voice broadcasting customers can use this website to download phone lists, record messages, and manage the operation of each campaign. Voice Broadcasting clients can download voice recordings and call lists and even manage the start and end of their calling campaigns. Users can view call campaign reports and the percentage of completion. To register for our online services, please use our Contact Us link above. The following are just a few of the applications that can be performed using our automatic phone answering services and outbound telemarketing programs. Contact DSC for a FREE analysis and quote and to learn more about our telemarketing products and services.